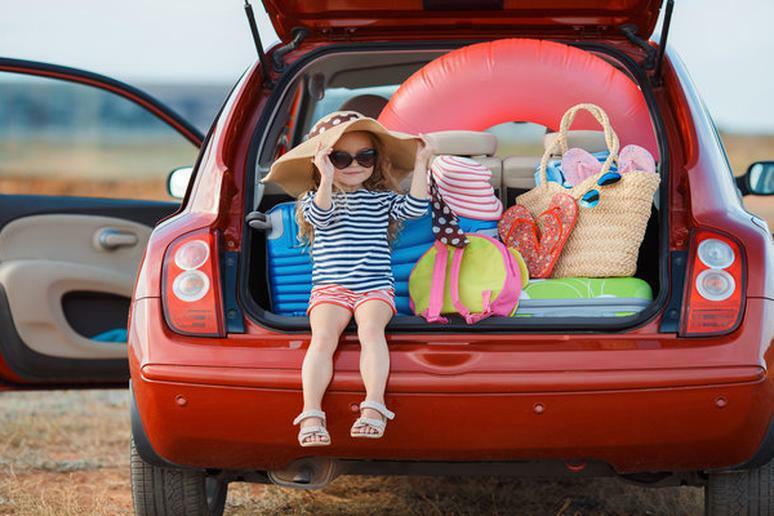 Summer travel is here and families across the nation are getting ready to load up the kids and hit the road to wonderful destinations by car and air. Before you go anywhere though, you’ll need to pack a few bags for your family, which can be both overwhelming and exhausting for most parents. Mom, travel expert and MyBuckleMate founder Meghan Khaitan has put together some packing tips to help make the job more manageable and ensure you have exactly what you need for the trip. 2. Check the Weather for Your Destination—the day before you leave, check the weather for your destination to make sure you’re prepared. No need to pack a bunch of shorts and no coat if the weather will be cool and rainy when you get there. Most destinations have shopping available if you forget something or need different clothing however. 3. Pack Clothes That Mix & Match—if you’re not sure if you’ll need it, you probably won’t. So skip packing it. Go with clothes that are good mix and match pieces like leggings, jeans, and comfy shirts. Dark colors are easier to wear more than once. 5. Personal Backpacks-if the kids are old enough, give each of them their own small backpack containing snacks, toys, chapstick, a book/coloring book, sunglasses, and other things they might need. It will give them a sense of responsibility and ensures that they are not asking mom and dad for something every 5 minutes. 6. Roll Clothes to Fit More—if you roll your clothing rather than fold it, you’ll fit twice as many pieces into your suitcase. Rolling clothes also keeps clothes from getting as wrinkled. 7. Pack a Carry-on with Necessities—one of the most important travel tips I can share is to pack a carry-on bag with necessities like medications and an extra set of clothes in case your luggage gets lost. Also pack a few extra toys, color books/crayons, books for your kids in case a long layover occurs unexpectedly. Also pack a few snacks for you and your kids. A small pack of pretzels doesn’t go very far and is not very healthy. Snacks will keep kids busy while on a flight. Toss an empty sippy cup in your bag if you have a young child. You can fill it once you’re through security or you can have a flight attendant fill it with milk or water on the flight. 8. Important Odds & Ends—there are a few other odds and ends that will help make the trip a little easier and ensure you are more prepared. Tuck a power strip in your suitcase so you have access to multiple outlets at your destination for charging camera batteries, tablets, and phones. Also throw in different sized plastic storage bags. They are perfect for holding small toys like Legos but are also great for wet, soiled clothes and on-the-go food. Packets of Pedialyte are also great to take along for any family member in the event someone gets sick or dehydrated. Last but not least, toss in a roll of duct tape. Duct tape comes in handy for more uses than you’d ever imagine. You can use it for everything from taping up a ripped suitcase to babyproofing outlets. Meghan Khaitan is a family travel expert and the founder of MyBuckleMate. A must-have for carpools and road trips, MyBuckleMate keeps back seat buckles propped up and easy to reach so buckling up is always a snap!